Welcome to Liberty Landing! View of the living room. Have a cup of coffee here. The flat screen TV is atop the shelf. Ample daylight throughout. The sofa pulls out to a Queen sleeper. The full kitchen has everything you'd need for a home cooked meal. Start your day off slow in this cozy nook. The full bath is off the hall. A washer and dryer is deal for longer stays. There is a standing shower in the bathroom. Experience downtown Savannah like a local. 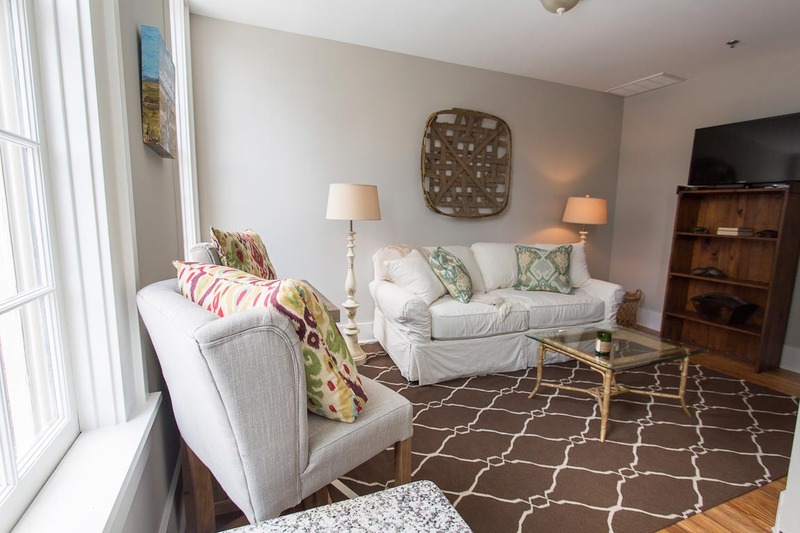 Stay in style at The Liberty Landing! 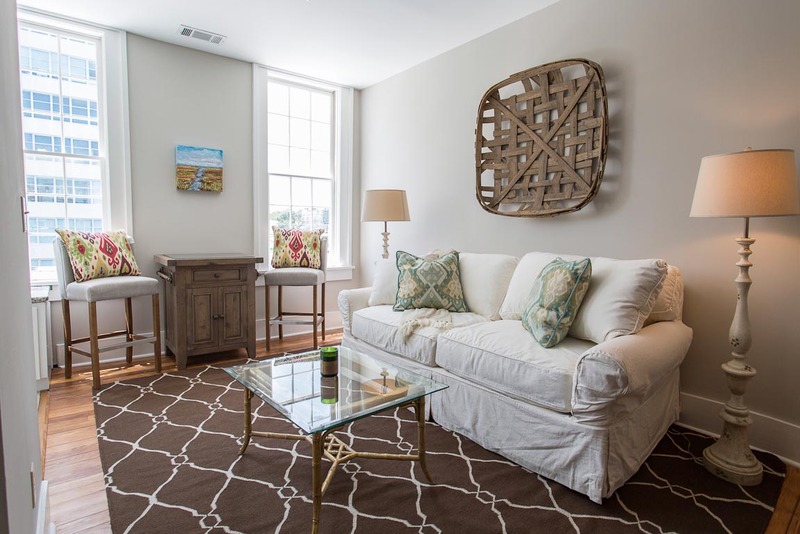 This cozy, one-bedroom apartment located in the heart of Savannah’s Historic District can comfortably accommodate four Lucky guests. 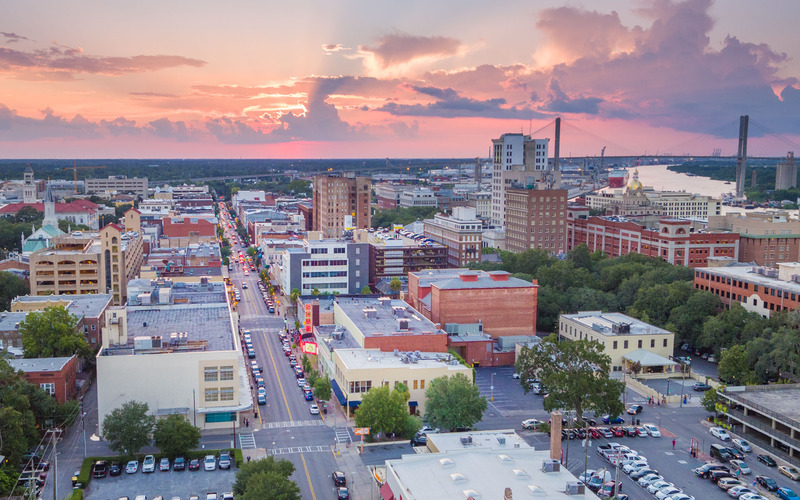 You’ll be a short walk away from River Street, Forsyth Park, and have a truly immersive, “live like a local” experience that will leave you ready to plan your next trip to Savannah! Located on the third floor of a historic building, you’ll enjoy all the comforts of a hotel but with more space! Relax after a day out watching the HDTV, or take advantage of the Wi-Fi, while curled up on the living room couch. 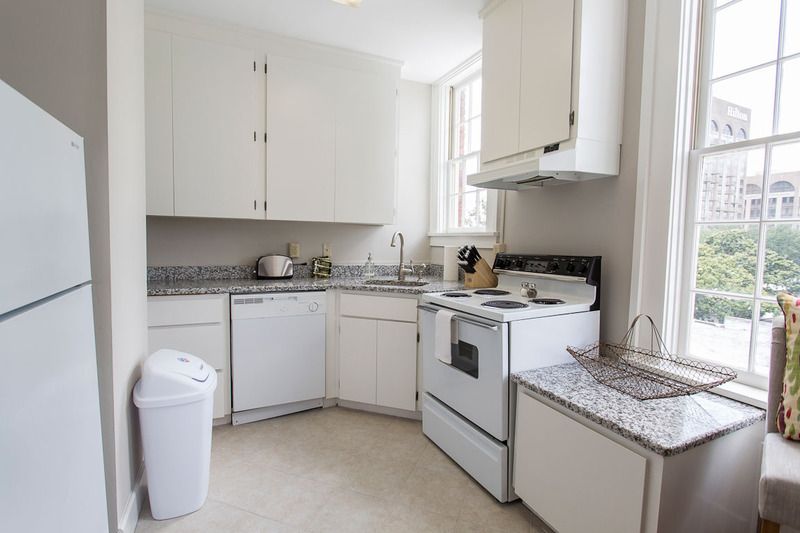 Open to the connecting kitchen, you’ll be able to enjoy a home cooked meal while not missing any of the conversation. 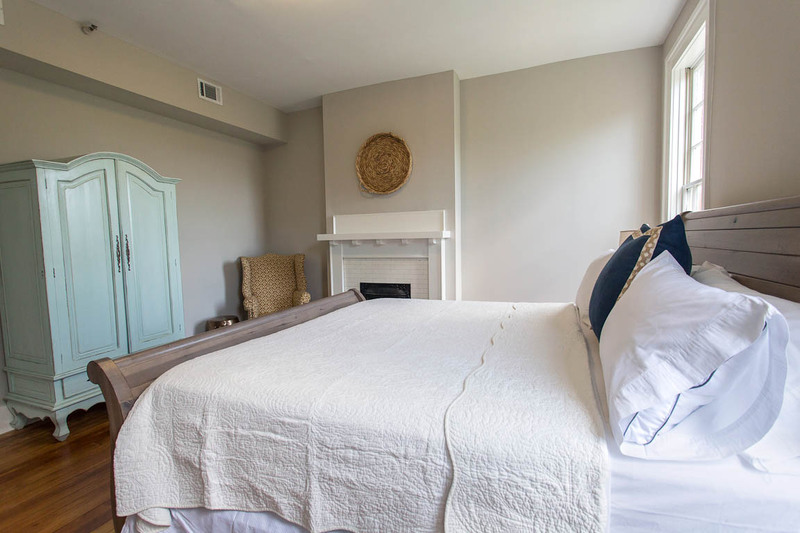 The spacious Master Bedroom has a king sized bed sure to leave you well-rested. Large windows let in lots of natural light and show off the natural hardwood floors throughout apartment. 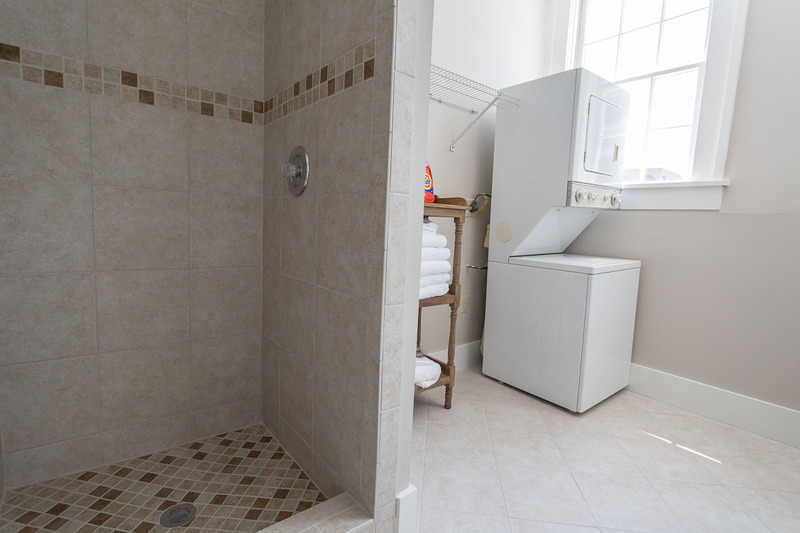 The bathroom has a large vanity, tiled shower stall, and a washer and dryer. You’ll be staying right next to J. Christopher’s, a pet friendly and popular brunch spot! You’ll be able to see the Cathedral of St. John the Baptist, which underwent a major restoration to preserve their beautiful stained glass windows and architectural integrity, as soon as you step outside. Spend an afternoon wandering through Colonial Park Cemetery, the final resting place of many of Savannah’s earliest residents. This home is right in the middle of the race route for The Rock ‘N’ Roll Marathon, making it a prime location for runners and spectators alike. Parker’s Gourmet Market, known to locals as Fancy Parkers, is just around the corner and open 24hrs. This unit has on-street, metered parking which is enforced by the City of Savannah Monday through Saturday from 8am to 8pm. You have the option of feeding the meter, parking in a nearby parking garage, or buying a parking pass from the Savannah Visitor Center. All of that information is included in our confirmation email sent upon booking. This is quite a charming apartment. The king bed was wonderful, the mattress was extremely comfortable! The location was great, close to River Street, Forsyth Park, Tybee Island. We had a great all around stay and we will definitely choose Luck Savannah again. The apartment was pretty much everything a guest could ask for based on rental cost. Very nicely decorated, spacious and included all the basic amenities. 1.) No TV in the bedroom. This seems like a simple issue to address. 2.) Three flights of stairs to climb to get to apartment. We weren't aware of this prior to visit. Perhaps I did not read the rental info close enough. Regardless, if you're in and out very much or if you take a pet, (like we did) climbing those stairs can quickly become a chore. 3.) Since this rental has nowhere to park our four day stay added @$50 to the cost of using it due to having to pay for parking. One should also consider having to park a good distance away since no parking was available (most of the time) close to the unit. The apartment location is several blocks from River St however, there's free public transit and it's a walk able distance. Hi Ruth! Thank you for choosing Lucky Savannah! We hope to see you again soon! Couple of minor houskeeping issues which were resolved within 30 minutes of arriving. No TV in bedroom armoire as advertised and no frying pan to fry an egg or something like that, and AC was cold but doesn't click/turn off, keeps running continuously..... but other than that a great location, clean and perfect for a getaway Savannah weekend!! Very nice apt, has everything you might need and most importantly the bed is so comfortable, we slept so good. It was just ok. The place was clean but small no real work space (my husband works a lot from home/vacation). The heat was hard to regulate, the bedroom was real warm but the rest of the place was cold. It is in a nice location. Louis, thank you for choosing Lucky Savannah! We try our best to show the home in its entirety so that you can make a confident decision. We'd love to host you in another property more suitable for your needs next time! We stayed here for 8 days during the 2017 Savannah Film Festival. Parked our car for the entire time! Waled to all events and dining experiences and also cooked a few meals in the unit too. One oddity we noticed which was a bit misleading were the photos. There are pictures of a bedroom that doesn't exist in this unit. Might be an oversight but we were a bit let down upon arrival. Overall we had a nice experience. Scott, thank you for choosing Lucky Savannah! We'll get that photo issue sorted promptly. See you again soon! So clean and close to everything! The few days my husband and I visited were extremely beautiful, thanks in a large part to this fantastic apartment. We were literally just a small walk away from everything in the city of Savannah. Which, by the way, the city is gorgeous and full of history and great food. We loved eating breakfast at the restaurant just outside the building. Back at the apartment, it was kept very clean and with all the amenities we needed, plus the price was better then staying at any hotel in Savannah. Loved feeling more like a local than a tourist, and would definitely stay here again. Oh, and we were always able to park right outside the building, it was never an issue while we were there. Alishia, thanks again for choosing Lucky Savannah! We're so happy to hear that the home was clean and convenient. See you again soon! The rental was perfectly located to all the places we love to frequent on our Savannah getaways. The bed was super comfortable and everything we needed was at our fingertips. Nicole, thank you again for choosing Lucky Savannah! 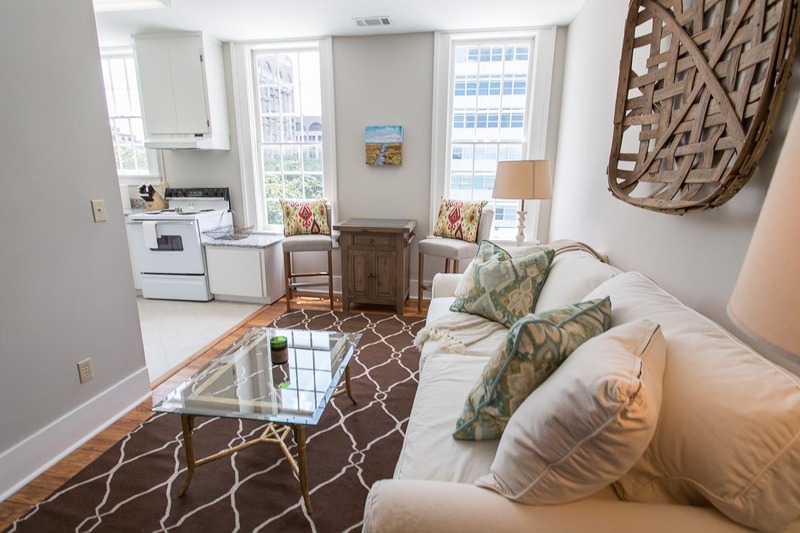 Liberty Landing is right in the heart of downtown - perfect for walking everywhere! We look forward to having you again soon! My family really enjoyed our stay at Liberty landing. The place is very clean and cozy, and it has everything we needed, the bed is very comfortable. It is located right at the historical downtown of Savannah, we couldn't have hoped for something better. The location of Liberty Landing could not have been better for us! When we contacted the property management company they were very quick to help resolve our issue--thank you!! Would for sure recommend this unit and property management company to others. Overall 4.6 out of 5. Excellent location. Big bedroom with two closets and an armoire. Very comfortable bed. Oversized bathroom but shower was not overly large (adequate). Kitchen very functional but no frying pan for eggs. Used a pot. No table space. No extra seating for any guests. Good for two people. We thoroughly enjoyed our stay at this rental. It was in close proximity to everything we wanted to explore. The apartment was thoughtfully accommodated with everything we may need. Our only complaint was the location of the tv — it was on the wall left of the couch which really doesn't make sense for multiple people watching. It would have been nice if it were in the bedroom or the couch was facing it. We did spend most of our time out exploring, but it would have been nice to utilize the tv in our downtime. Besides that, everything was fantastic. The bed particularly was very comfortable and the AC kept us nice and cool after a day of walking in the Savannah heat. We would definitely stay here again. Thank you for choosing to stay with Lucky Savannah! We are delighted to hear you thoroughly enjoyed your stay. Liberty Landing has a fantastic location, and is close to many great attractions here in Savannah. We thank you for your feedback regarding the TV and will be glad to bring that to the homeowners attention. We can't wait to have you all back in Savannah soon! Please don't forget about our 10% returning guest discount. We loved this place. Parking was a little tricky (pay attn to the signs & times!) The only tiny hiccup was the entry code, which was incorrect in the app upon arrival. A quick call rectified easily tho. The bed was a highlight. We had to check the brand/series to shop for that mattress for back home. We loved the location of the apartment. Everything was clean and fresh when we arrived. Management needs to double check security codes for doors to make sure they are accurate to the room. We arrived at 3:30am after driving 8 hours and had to wait almost 45 minutes to get management on the phone to get an accurate security code to access the apartment. Management may want to suggest to the owner to put a TV in the bedroom at least until the construction has been completed behind the building. It can be a little loud sometimes in the morning. Otherwise I would definitely stay here again. Great overall experience and stay with Lucky Savannah. The place had everything we needed and was so much more convenient than a hotel. We were provided with a full kitchen with pots and pans for cooking, along with a washer and dryer (and even detergent). 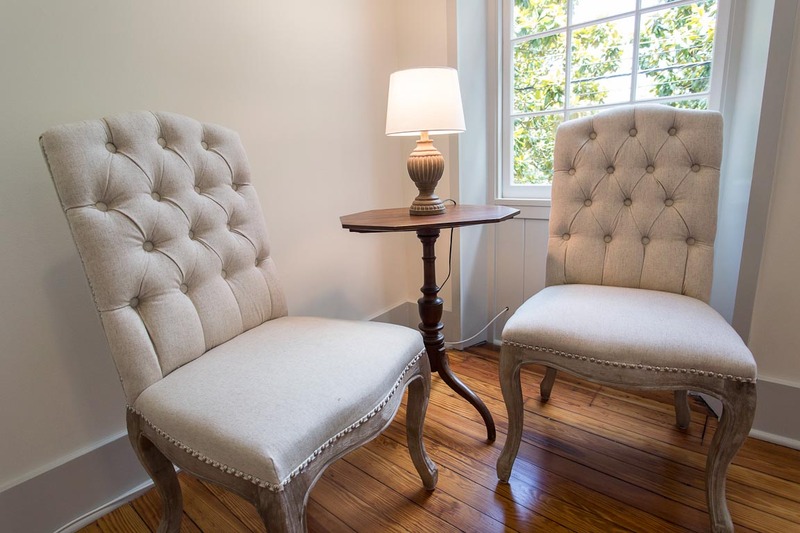 The place was very classy with a prime location (located in the heart of the historic district on Liberty Street)so everything was no more than 15-20 minute walk. The only issue was the cable box in our room was broken, and couldn't get fixed until after we left due to the holiday but it didn't really matter because we were out all the time. All in all, great vacation rentals and I'd recommend them. Great rental in a very good location. The management company was quick to respond and I would recommend this company and location. Really great location. Clean and cute apartment. Only down side was setup of tv and couch in living room but definitely not a big problem. A few minutes from all the good shopping and eating. Definitely will return. 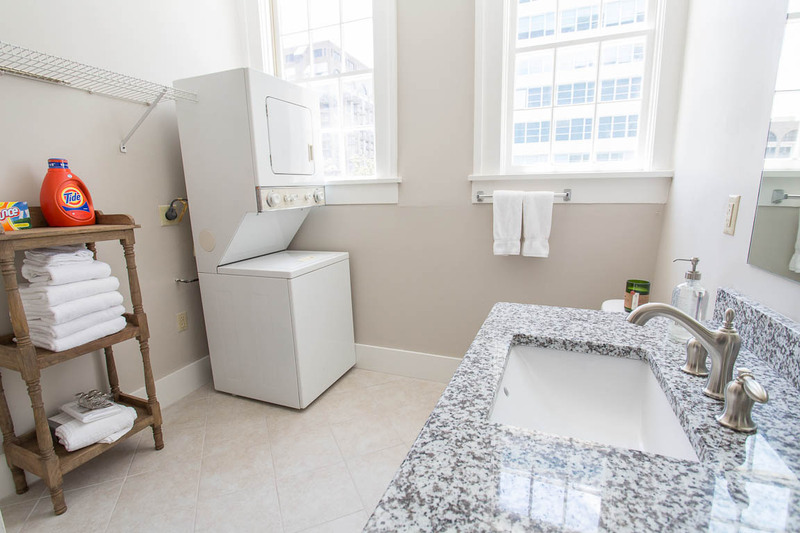 Having stayed in Savannah for years, this unit is well located for access to all available in the historic district area. The bed was heavenly. My only complaint was the remote for the T.V, it didn't seem to respond and became very frustrating. The height of the T.V installation wasn't conducive to watching T.V. We always use Lucky Savannah when renting and recommend their agency to all. Resolved within 30 minutes even though it was close to midnight . I would definitely come back ! Hi Stacey! Thank you so much again for choosing to stay with us. We're so glad to hear you enjoyed Liberty Landing and our beautiful city. We pride ourselves on being more than a vacation rental company and are pleased to hear that our staff was helpful during your stay. Please know that you're privy to our Friends and Family discount next time you stay with us. Looking forward to hosting you again soon! The rental is in a great location, especially for the Rock 'n' Roll Marathon; you can walk right to the start. Lots of restaurants within walking distance. The code to rental was wrong when we arrived, but we received the correct one fairly quick via text. (Make sure you text if you want a quick response.) Unfortunately, the white couch is covered in stains and the living room layout is definitely not right for relaxing after you run 12-26 miles! The TV is up too high on a tall bookcase and hard to see from the couch, with no other comfortable seating. It would be a perfect rental if the owners rearranged the living room and added a new couch and comfortable chairs. Hi Amy! Thank you so much again for choosing to stay with us. We're so glad to hear you enjoyed the location of Liberty Landing and have made note of your suggestions. Please know that you're privy to our Friends and Family discount next time you stay with us. Looking forward to hosting you again soon! We had a great time at Liberty Landing!!! My only minor suggestion would be to add a tv in the bedroom as my fiancé can't sleep without one and wound up sleeping on the couch most of the time. Hi Joanna! Thank you so much again for choosing to stay with us. We're so glad to hear you enjoyed Liberty Landing and look forward to hosting you again soon! The rental is in a good location. You can walk everywhere around downtown from this location. The issues that I had was I did not see in the reviews that parking is street parking only until I booked and paid for the rental. The suggestion to get a parking pass is good but as the lady at the visitor center stated, "it does not guarantee a parking space on the street or in one of the garages". Parking is tough from Friday through Sunday. Also, there is construction behind the building and they work 7 days a week. Started at 7:00 a.m. and quit at 6:00 p.m.. Started at 7:30 on Sunday. Construction workers take a lot of the parking spaces at the meters. If you are a light sleeper it is tough to sleep there. On the weekend, you can hear all the people talking on the sidewalk outside the building, all the motorcycles on Liberty St, and the police cars and fire trucks coming down Liberty and Abercorn Streets. I agree with some of the other reviews that stated the TV needs to be lowered. Hard to see the tv from the sofa. Also the cover on the sofa need to be washed. As for the unit, the bedroom size is nice and the bathroom and kitchen is ok. Could use more glasses, only 2 in cabinet. Hi Alex! Thank you for staying with us at Lookout on Liberty. We do apologize for the parking issues; downtown can be a bit difficult, especially on weekends. Thank you for your suggestions - we appreciate the constructive feedback! My family and I have stayed at multiple Lucky Savannah properties and will continue to every time we go. Great location. Will definitely stay again. Hi Morgan! Thank you for returning to one of our homes. We appreciate it! We had a fantastic getaway in Savannah. This was in the heart of everything in the historic district. Minutes from Forsyth, minutes from downtown. Would stay hear again. The bed was very comfortable. Hi Sheen! Appreciate the kind words about Liberty Landing. We look forward to hosting you again soon! 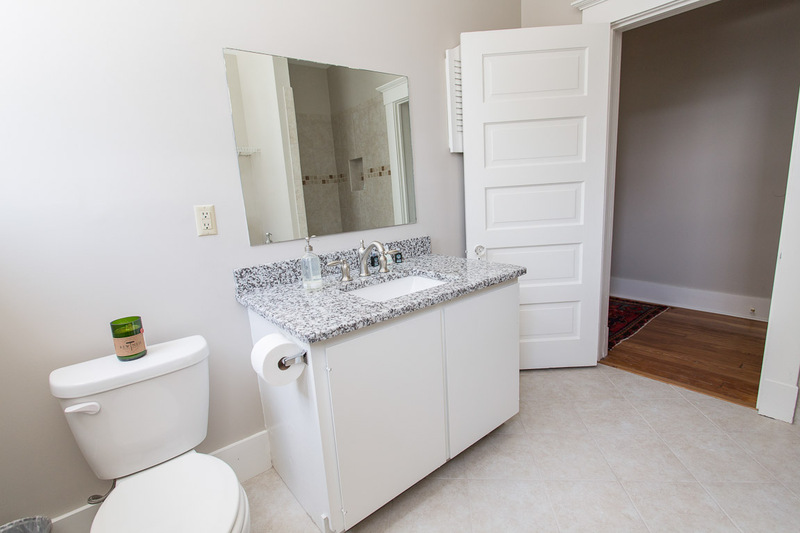 The location is great and the most important thing to us is cleanliness. The unit was very clean!! The bed was awesome and the unit was very quiet. Jason, thanks again for choosing Lucky Savannah! We're so happy to hear that our housekeeping team exceeded your expectations. See you again soon! Very superb location. We could walk out our door to a fine breakfast/brunch plase. All historic sites were walkable. Travel to our daughters' places was convenient. My wife and I have travelled Europe extensively, as well as China and Russia, besides being stationed in the USAF in England and Germany for 3 yrs each; we feel Savannah is one of the most beautiful cities in the world. The rental place was roomy and adequate. I would recommend a TV in the bedroom but many would disagree. Ice trays should be located in the fridge, as well as Kleenex. These comments do NOT equal any significant unhappiness and we would rate this a 5 star stay and would come back. Too bad our 2 Yorkies can't come along. This is a great location for walking anywhere you want to go. Quiet neighborhood, clean, bright, new. Off-street parking was no problem. wonderful. Helpful Staff, great location, nice amenities. Very clean and well maintained. I would totaly recommend it to others. My grandmother, mom and I came to Savannah for a girls weekend trip. This was the perfect little gem of a place. We enjoyed living like a local and having our own space instead of a hotel. The location couldn't have been better! We got the 2 day visitor parking pass and was able to park in front from day one of our visit. We walked everywhere and loved being able to get to any where in a matter of minutes. The apartment was very clean and truly made me feel at home. We miss it already! Loved our stay at Liberty Landing. From the beginning the staff was friendly, professional and accommodating. They were able to allow us to check in early do we could put our feet up after a 1,200 mile drive. The apartment was very clean and spacious. The location could not have been better. We were within walking distance to all of the historic downtown area and to the SCAD dorms where our daughter attends. J Christopher's right next door was perfect for a couple breakfasts right away in the morning. Traffic noise was minimal, with only the street sweeper waking me on occasion, but I always fell right back asleep in one of the most comfortable beds I've ever slept in. Parking was no issue by getting an inexpensive parking pass for weekday use. We really only needed the car for a trip to Tybee and a run to the mall. The only con, and this is not picky, was the WiFi was extremely slow, however, we were hardly on our phones so it wasn't a concern and the stove could have used some leveling and proper sized burner rings. Minor minor issues. We are already talking about our next trip and which Lucky Savannah property we want to try or we may even stay at Liberty Landing again!!! Thank you Corey and all your staff for the great place to call home for a quick week. You all do a great job and make staying in Savannah worry free! We found our accommodations kind of late and Lucky Savannah was very friendly and supportive in helping us find the right rental property for us. It was very affordable and I honestly don't know why a person would want to stay in a motel when they can have a rental for less than half the price with a full kitchen and washer/dryer included! We priced a hotel a block down the road and it was indeed more than twice the nightly rate. I chose this rental because of how light and airy it looked. The living area is small but efficiently arranged. Who spends much time in their rental anyway when they're in Savannah? The bathroom was huge and we made good use of the washer/dryer; shower only. The bed was the kicker. It was divine. My husband and I both agreed it was the most comfortable bed we've ever slept in. The a/c worked like a charm. The apartment was very restful and comfortable. The only downsides were the steps getting up to the 3rd floor and the lack of a table to eat at. This rental is not for those who have limited mobility. The best part was that we were literally in the middle of everything. Equally close to the river and Forsyth Park with lots of restaurants and pubs on our street or around the corner. The breakfast place next door was our favorite place to eat!! We were only here on week days and were able to find parking on the street. Great location. Clean and nicely furnished. Staff was great. We had trouble getting into our condo but we called (it was a Sunday afternoon) and they answered my call quickly and got us into the condo. Would stay here again. The location was perfect; absolutely everything we planned on visiting was in walking distance (Forsyth Park, Leopold's, the Olde Pink House, shops, restaurants, and a market). The apartment was very comfortable and clean, we felt at home immediately. We had some issues with the door keypad, but we called Lucky Savannah and it was instantly resolved. You can't find great customer service like that anymore. The place was beautiful, not to mention in an excellent location. Would definitely stay here again! The location of the rental was fantastic. Also very close to everything we wanted to see. The only suggestion would be a faster internet service and hooks in the bathroom to hang towels, but other than that it was a wonderful stay . It was the ideal location for our visit; central to walking in all directions. We parked the car our first day and never moved it until we left. Very quite, comfy bed, clean and quaint. The apartment was nice and very clean and in a great location. The internet doesn't really work at all. The Property company told us it was because there were 'a lot of people in town,' so we had some comedy relief with that statement. If I stay in Savannah again. I probably will choose a different company to stay with. Oh, and bring toilet paper. You don't get 2 full rolls. You get what the last people left and another roll. Seriously? Thank you for choosing to stay with Lucky Savannah! We are so sorry the internet was not working for your stay. We have experienced the internet to be slower when there are more people in town. Unfortunately the city does bring in more cellphone towers for Saint Patricks Day, but not for the Rock'n'Roll Marathon. We thank you for bringing this to our attention, as we take all reviews very seriously! Liberty landing was the perfect location. It was within walking distance to shopping, restaurants and the river front. The apartment was clean and comfortable! Thank you for choosing to stay with Lucky Savannah! We are glad to hear you enjoyed the location of your home! We are also glad you enjoyed the cleanliness and coziness of the home. We hope to have you as our guests in the near future! Awesome apartment!! Great location!! We thoroughly enjoyed our stay. Lucky Savannah will be our only rental stay for our next trip to Savannah. Thank you for choosing to stay with Lucky Savannah! We are so glad to hear you all enjoyed the location of this home! Our team is thrilled to hear you all will be staying with us again. Please, don't forget about our 10% "Returning Guest" discount! Thank you for choosing to stay with Lucky Savannah! We thank you for the kind words. We try our hardest to make sure you have a great stay in Savannah! The Liberty Collection definitely is in a great location. We are so thrilled to hear you enjoyed your stay, and experience with us! We hope to have you as our guests again in the near future. Don't forget about our 10% "Returning Guest" discount! 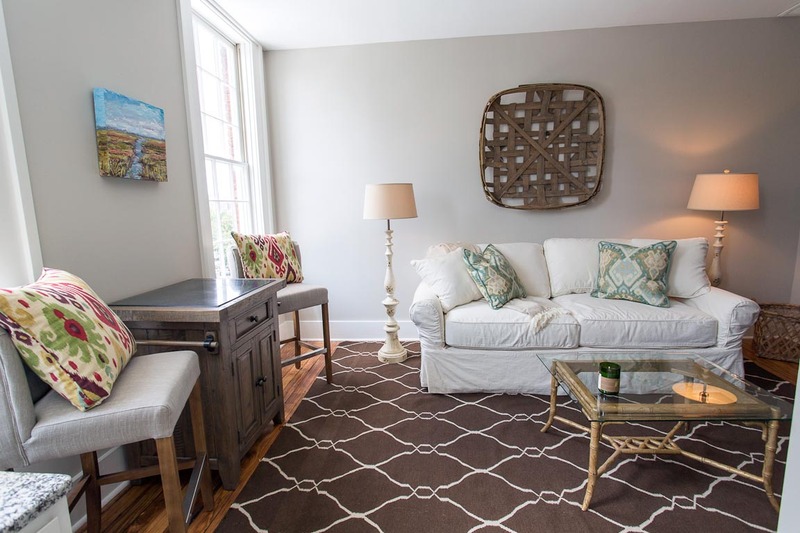 Sometimes vacation rentals look much nicer in pictures than in 'real life.' Not this one. It looked just as pictured, was very clean, and nicely situated in the city's historic district. Also, phone contact with manager was exceptionally helpful and friendly. Would definitely recommend to others. Thank you for choosing to stay with Lucky Savannah! We appreciate the kind words regarding Liberty Landing. We try our hardest to provide a home that is accurately presented in pictures, clean and suitable for all of our guests needs. We thank you for recommending us to others and hope to host your next stay! Please don't forget about our 10% "Returning Guest" discount. We stayed for three nights in early March. This rental is great. Very clean, high quality furnishing, and the bed was incredibly comfortable. The only issue we had, and this is very minor, is that we wished there were some end tables on the sides of the couch. We didn't spend much time indoors, but at night, when you're resting from a day of exploring, you want to spend a little bit of time in front of the tv with a drink perhaps. But the only flat surface near the couch is the table you see in the image, which is actually quite small. So we wished there were some small end tables. Otherwise, this was a fantastic place. Amazing location (just across the street from the Cathedral of St. John the Baptist) and we would certainly stay here again. Thank you for choosing to stay with Lucky Savannah! 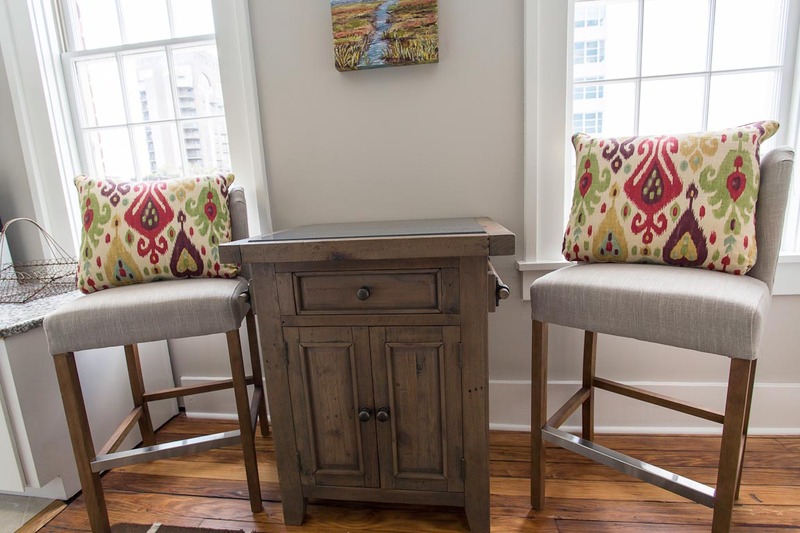 Liberty Landing is furnished with many fine furnishings, and we are so glad you all agree. We will most certainly check into placing end/side tables next to the couch. We take all suggestions very serious and appreciate any input! We are so glad you all enjoyed your stay, and hope to have you all again soon. a perfect jump off point and a great space to stay in, too! Convenient downtown location, clean and sufficiently appointed to meet our needs as travellers. Comfortable bed, cozy couch, great internet speeds. No issues! The lucky savannah app was a great feature (although there were a couple of key data issues that were sorted out quickly). And Sydney was pleasant to work with! Thanks, lucky Savannah! Thank you for choosing to stay with Lucky Savannah! We are so glad you found Liberty Landing to be in a convenient location. 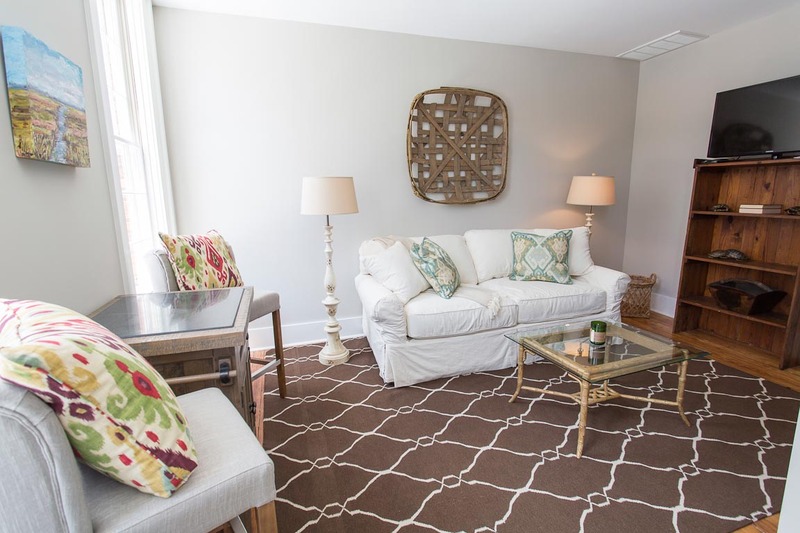 Liberty Landing offers a great amount of space, comfortable furniture and an ample amount of lighting! We thank you for the honest review, and hope to have you all as our guests again. Please don't forget about our 10% "Returning" guest discount!